Training courses for Air Barrier professionals. Installer training is an investment in the future and a tool for success. ABAA’s elite training program provides you with an edge in an increasingly competitive marketplace. Whether you are looking to upgrade your skills, or searching a new career; ABAA’s Air Barrier Installer course is designed to meet your needs. 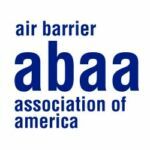 ABAA’s training courses provide a means to ensure air barrier installers possess the necessary skills and knowledge to produce quality air barrier applications. While all industry members are encouraged to participate in training, certification will be granted upon completion of the course only to those participants who are able to demonstrate either a working knowledge of air barrier installation practices and documented practical experience, or an acceptable combination of related practical trade experience in related products in commercial construction. Participants must also possess a solid understanding of construction and building components. New entrants to the industry are also welcome to attend this course and participate in ABAA’s apprentice program. ABAA accepts related experience in spray-applied waterproofing, hours in sheet membrane waterproofing, self-adhered membrane roofing, torch-applied membrane roofing and in painting. Hours in each category are weighted and reviewed on a case by case basis by the ABAA office. Please note that training is only one component of the certification process. Participants who successfully complete the air barrier installer course will receive a training course attendance letter with exam results (if applicable) and an attendance certificate. The installer training course consists of both theory and practical instruction. The classroom portion of training emphasizes understanding the need for and function of an air barrier assembly, the ability to select and install the correct material(s) applications, the ability to confirm proper installation through on-sit testing and the documentation required throughout the air barrier installation process. The classroom is divided into three main modules. The first, principles and theory provides an introduction to air barriers, building science, codes and standards as well as installer ethics and responsibilities. The second module focuses on procedure, teaching participants about testing and audits and proper documentation and reporting. The final module of the classroom section is an overview of building enclosure construction. Participants will learn about material selection, application technology, substrate conditions and the continuity/compatibility of components. The practical portion of the training module is carried out on a job site, or on a mock-up where an authorized ABAA representative will instruct the installer and observe the application of the air barrier assembly. Minimum of 3,000 Hours of experience in air barrier applications or related fields. Achieve a passing average grade of 80%. Completion of all required documentation. A minimum of at least 1,500 hours in SPF experience is required as part of the overall 3,000 hours. Attending a training course and/or successfully passing the certification exam DOES NOT constitute certification has been completed.